President Donald Trump has demonstrated time and again that when he's cornered he fights back hard. And when he fights back hard he doesn't let much get in his way... including the facts. This week was no exception to that rule. 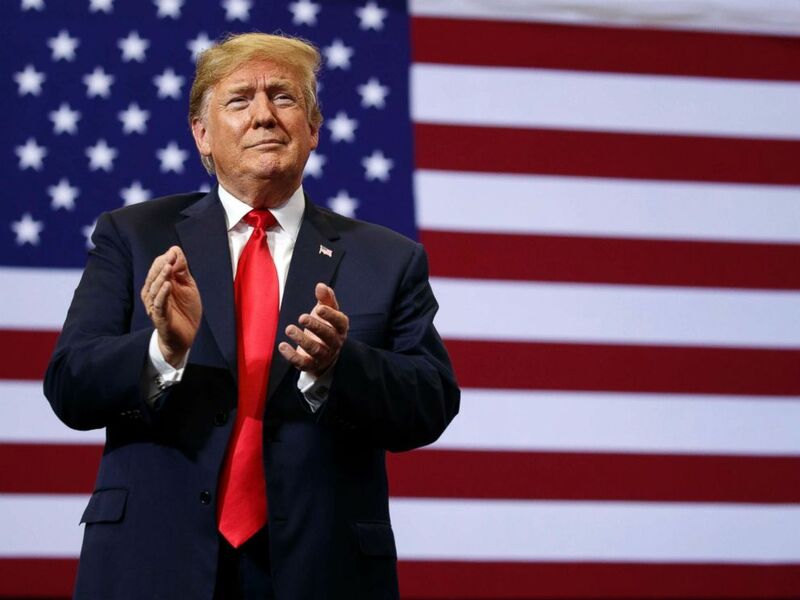 It began much like his last one ended – mired in controversy over his immigration and border policy and widespread backlash to the separation of undocumented immigrant families. The president, at times, described immigrants as invaders and said those who cross the border illegally should be turned back with "no Judges or Court Cases." ABC News' FACT CHECK FRIDAY begins with the president's curious story about a request for 5,000 new judges to solve the problem. As the president pitched his inexecutable plan to turn migrants back at the border with no due process, he complained on three separate occasions this week that he'd been asked to sign a proposal to hire 5,000 new immigration judges to address the backlog of cases. The problem is he won't say to who made the proposal and no one, including his own press staff, is confirming the claim is true. "They came in to see me last week. They said, "We'd like to hire 5,000 more judges," the president said at the White House on Monday. "5,000, you ever hear of a thing like that?" Turns out no one has. ABC News' repeated requests for clarification to White House press staff went unanswered and press secretary Sarah Sanders dodged the question when asked about it directly at her lone briefing with reporters this week. "There have been a number of different proposals – quite a few that we've seen," Sanders said on Monday, never actually addressing the specific question about where the president got that number. "But they come up, and this was an order, this was – sir, we need five thousand judges. "I said, five thousand?" the president said, whipping up the crowd at a political rally in South Carolina. President Donald Trump claps as he arrives for a campaign rally, June 27, 2018, in Fargo, N.D. The only real evidence of requests for more judges comes from the president's own Attorney General Jeff Sessions, who has called for 100 more (in addition to the 320 currently serving around the country) and a bill from Sen. Ted Cruz, R-Texas, which asks to increase the number to 750. Whether or not the president received some request for 5,000 judges the bottom line is that he doesn't want them. "So, I said today, I said today, I don't want judges, I want ICE and Border Patrol Agents, that's what I want." "Russia continues to say they had nothing to do with Meddling in our Election!," President Trump tweeted on Thursday. Our fact check says that's true. But, the president should know by now the Russians are lying. 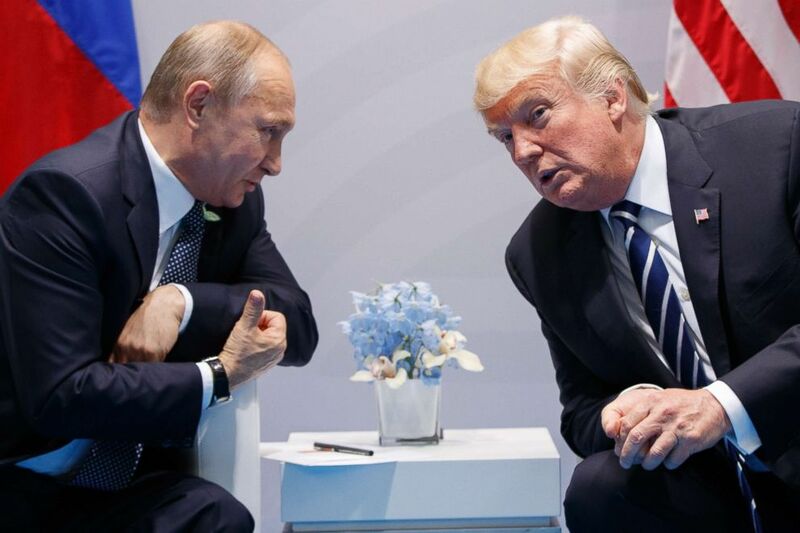 Just minutes before the White House announced his plans to hold a summit in Finland next month with Russian President Vladimir Putin, President Trump seemed to endorse that false claim by the Russians that they had nothing to do with hacking the 2016 presidential election. President Donald Trump meets with Russian President Vladimir Putin at the G-20 Summit in Hamburg, July 7, 2017. But Trump's own intelligence agencies and virtually every U.S. government investigation of the matter have concluded that Russia did meddle in the election – and that it did so at the direction of President Vladimir Putin. Trump has long been hesitant to accept those conclusions, concerned in large part those conclusions undermine the legitimacy of his victory. But the facts are that the U.S. government has great confidence the Russians were involved. Aside from the intelligence community's definitive report, the special counsel's ongoing investigation of Russian meddling has already led to the indictment of 13 Russian nationals and three Russian companies for a plot to wage "information warfare." And even the Republican-led investigation by the House Intelligence Committee concluded there was Russian interference and that President Barack Obama didn't do enough to stop it. "Peter Strzok worked as the leader of the Rigged Witch Hunt for a long period of time - he got it started and was only fired because the gig was up. But remember, he took his orders from Comey and McCabe and they took their orders from you know who. Mueller/Comey best friends!" 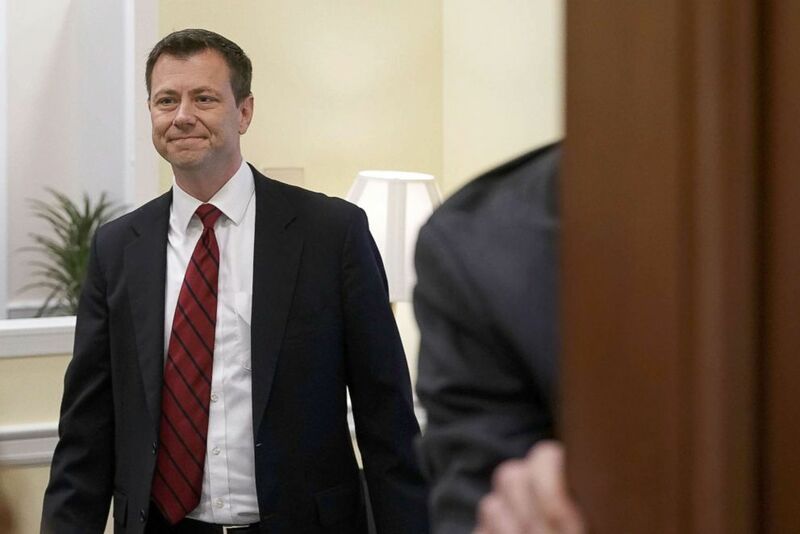 FBI Agent Peter Strzok arrives at a closed door interview before the House Judiciary Committee, June 27, 2018, on Capitol Hill in Washington, DC. Peter Strzok worked as the leader of the Rigged Witch Hunt for a long period of time - he got it started and was only fired because the gig was up. But remember, he took his orders from Comey and McCabe and they took their orders from you know who. Mueller/Comey best friends! There are two major problems with this tweet. First, the suggestion that Strzok was taking orders from special counsel Robert Mueller through FBI Director James Comey also strains credulity, as well as space and time. Mueller was only hired after Trump fired Comey... and precisely because Trump fired Comey, which raised concerns about possible obstruction of Justice. So it doesn't make sense that Mueller was talking to Comey. And second, James Comey has contemporaneously said that he and Mueller are not close friends. In an interview with ABC News'George Stephanopoulos Comey said "[Mueller] and I are not close friends, but I've known him and watched his work." "You've had dinner, played golf?" George asked in a follow-up. "Yeah. I think we played golf once in our 25 years," Comey said. "And-- sorry, and-- and I've had dinner with him maybe once or twice. So I know him and I can s-- and I-- we're friendly. But I know his work most of all. And I've watched it closely. He's not on anybody's side. He does not care about anything except the truth." Earlier this month, the White House announced what it's billing as an alternative to Obamacare that would allow small businesses to join together to create association health insurance plans that would reduce costs and available benefits. “We just came out with the association plan, which is phenomenal. Millions and millions of people are signing up," President Trump said at a political rally in Fargo, North Dakota on Wednesday. The problem with the president's claim (as the New York Times first caught this week) is that people aren't allowed to sign up until September 1. According to the president though, millions and millions already have.